ukBathrooms.com is set to save you a fortune on your new bathroom this summer, with our biggest ever Summer Sale now is the best time to shop for your new branded bathroom! With the latest designs from leading bathroom manufacturers you can spec-out your new bathroom to the highest standard, with quality fittings from trusted and respected market leaders such as Hansgrohe, Roca, Crosswater and many more. A Villeroy and Boch logo on your ceramicware ensures lasting quality and performance: Villeroy and Boch are one of the most revered, trusted, leading bathroom industry brands and are currently featured in our Summer Sale; there hasn’t been a better time to buy V&B from ukBathrooms! Pronounced “Villeroy” and “Bock” (not Bosch) the German brand is known for its clean European style. One of Villeroy and Boch’s most popular ranges is: Subway. These timeless, uncluttered designs exude the true beauty of pure form and function lead design, they are usually Architects and Designers range of choice. The scale of choice on offer means you can fully customise your product selection, creating a bespoke bathroom unique to your family and your home. For example the Subway furniture comes in a variety of colour options and sizes, you also have the choice of a single or a double “his and hers” style vanity unit. Even the handles can be customised, contact our sales team for advice on handle selection. You have a choice of: White, Glossy White, Glossy Walnut and Macassar. Matching tall units are available for those bathroom must haves, decluttering your space and enhancing the envisioned design aesthetic of your new bathroom. The Subway wall hung toilet is a hugely popular design, with its most appealing feature being completely smooth lines, no gaps or cut out spaces around the sides, just clean shapes and a smooth form. This single piece form helps you create a clutter free aesthetic as well as having the excellent advantage of being easier to clean, and keep clean, no more horrible dust and dirt collecting in recesses around the toilet base! 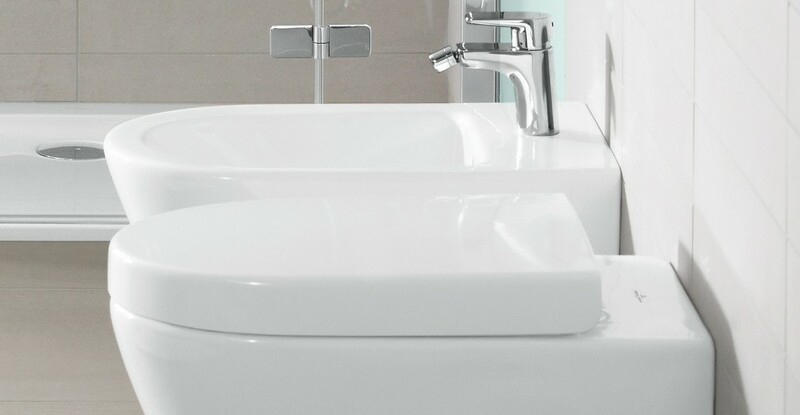 A matching Subway Bath from this range will enhance any bathroom space and compliment other items from the design line. Match with free standing or wall mounted brassware to achieve a contemporary high end look that would be at home in a luxury hotel suite, or your new bathing sanctuary! Subway furniture vanity units are versatile, practical and simply stunning. Available in a choice of finishes lots of different looks looks can be achieved, pleasing even the most discerning of us! From light and bright whites, to deep rich and warm wood finishes, you can mix and match this range across your entire families bathrooms, kitting out your whole home with high quality products that can meet the tough demands of family life and the breadth of different design tastes we all have. Browse the range on the link below, most subway items are in UK stock and can be delivered in 3 to 5 working days, custom furniture can take longer as it is ‘hand made to order’ in their German factory, but the wait is well worth it when your hand-built custom bathroom order arrives, and is fitted and finished in all its splendour! Just contact our sales team to check lead times and pricing: 01765 694 720.